On February 2, 2016, the Centers for Medicare & Medicaid Services (CMS) issued a final rule that would require a face-to-face (F2F) encounter for beneficiaries receiving Medicaid home health services. The final rule aligns with Medicare timeframes for the F2F encounter for home health services. The final rule requires that for the initial ordering of home health services the physician must document that a F2F encounter that is related to the primary reason the beneficiary requires home health services occurred no more than 90 days before or 30 days after the start of services. The F2F encounter for home health services may be performed by the physician or certain authorized non-physician practioners. The rule also provides for the use of telehealth, as defined by the state, for the F2F encounters. Further, the rule incorporates into regulation CMS’ longstanding policy that states may not require an individual to be “homebound” in order to receive home health services or restrict services to be furnished in the home itself. 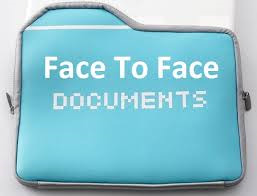 According to CMS, the Medicaid physician F2F encounter documentation is intended to be less prescriptive than the Medicare home health F2F encounter requirements. CMS is allowing greater flexibility within the individual state regulations as to what will be required for sufficient documentation of the F2F encounter. The effective date for the rule is July 1, 2016. However, CMS recognizes that some states may require legislative action in order to effectively comply with all provisions in the rule. For states that require a legislative session and meet annually, the rule will be effective July 1, 2017. For states where the legislature meets every two years and requires legislative action to comply with the rule, the effective date will be July 1, 2018.